College of Engineering and Mathematical Sciences (CEMS): Are there any specific CEMS courses or projects you believe helped prepare you for your internship? 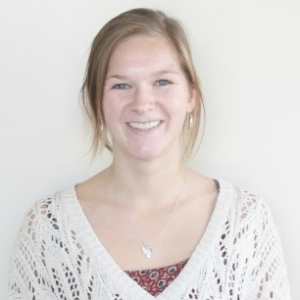 Emily Bolt (EB): I think that my structural analysis course helped me a lot during this internship. I also think my involvement with the Alternative Energy Racing Organization helped a lot- not in any technical skills per se, but mostly how to learn to perform tasks on your own and a lot of self-learning techniques. CEMS: What does the company you interned with do? EB: The City of Burlington Department of Public Works takes care of all municipal needs- from sidewalk and road repair to holding city meetings about new projects around Burlington. 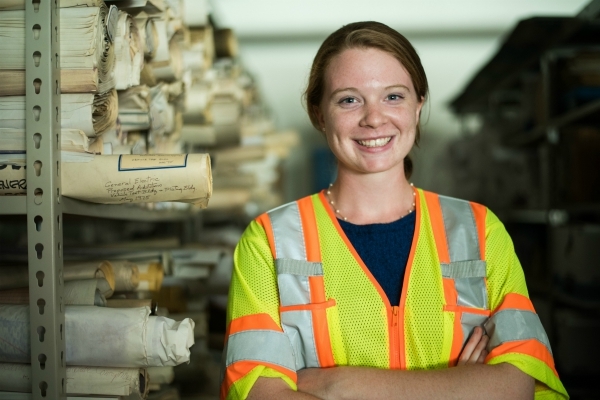 CEMS: What do you do at the Burlington Department of Public Works? EB: I put together Requests for Proposals and Requests for bids, I organized bi-monthly paving meetings with contractors, processed payments for paving projects, surveyed and modeled projects sites, as well as began developing the crosswalk protocol for the city. CEMS: What have you learned during your internship? CEMS: Anything else you want to add? EB: Definitely get as much experience as you can- in that I mean apply to whatever internships come your way no matter if you think you won't find the work interesting or if you think they won't hire you. Be bold about asking for help or advice on projects during your internship because your advisor knows you're learning and is there to help with your growth and development as an engineer so take advantage of it. Daniel Russell (DR): What helped me most was being proactive in my communication and interest in the company. I set up a job shadowing meeting there with a few of my fellow students and the engineering department. By doing this in the fall, they knew me and knew of my motivation already by the time I sent in my application. Continuing to communicate with the company through the application process by phone and email kept them aware of my interest. DR: They create custom pumps and electric motors for high pressure, high temperature applications such as the nuclear industry. CEMS: What do you do at Hayward Tyler? DR: My fellow interns and I completed an excel database of previously made pumps to smooth over the repairs and servicing process in the future. DR: I learned a lot about working in excel. I also learned a lot about the structure of an engineering company, and what it takes to get an idea from a CAD drawing to a functioning component. DR: Get involved really early, and make yourself known to the important people at the company before the application process begins. College of Engineering and Mathematical Sciences (CEMS): What did you do at Vermont Gas? Kara Yelinek (KY): I worked heavily with the city planner and the city engineers. What I’ve actually gotten are things like writing invitations for bids for different projects going on in the city so that sort of helps me learn not so much the problem out of a textbook but the ‘oh no we ran into this structure underground that we didn’t know about’ kind of problems. KY: I can read geotechnical reports that we get from consultants and know what they’re saying and actually understand the things I’m being given. I’m also learning a lot of stuff as far as communication goes. Sometimes I will be communicating with three different companies that are sub-contracted out from us and it's my job to help facilitate all of that and make sure everyone is on the same page. CEMS: Have your engineering classes prepared you for your internship? KY: Actually, my transportation class has applied directly to my internship. I’ve actually pulled out my notes from it before to use a reference. It’s been a really awesome experience and it has had some direct correlation to the some of the things I have learned in class. KY: I’ve been able to work on a variety of other projects, much more than I think I would have at other places because working for the city they handle all of their own business. so whether its a road that needs to be replaced or a building that needs to be replaced, it all comes back to them so I really liked that variety as opposed to just doing one thing the whole summer. College of Engineering & Mathematical Sciences (CEMS): What did you think helped you get this internship? 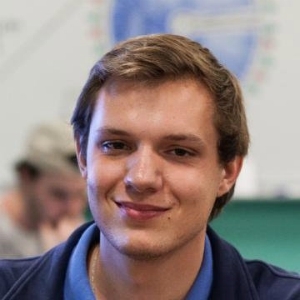 Christopher Petitt (CP): A big thing was the senior design project. You get a lot of relevant experience. A big role in my getting this internship was the senior design project. We pretty much only talked about that in the interview. I think if you do a good job on that, put in a lot of effort and know what your talking about it will reflect well and employers will see that. CEMS: Do you enjoy your work there? CP: I do enjoy what I do. I was actually very fortunate because I had another full-time job offer and I turned it down to take this internship. I think the reason I like it a lot is because the people there are awesome. I think that’s a big deciding factor for where you want to work, to make sure you enjoy it. 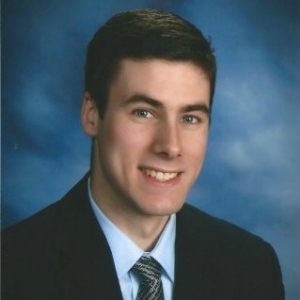 Update: SAC Incorporated offered Chris a full-time position after his summer internship. Chris is now the Operations Manager at BombTech Golf in Williston, Vermont. CEMS: What does Hayward Tyler specialize in? Stephen Gregory (SG): Hayward Tyler specializes in industrial pumps for all sorts of different markets, so water filtration, nuclear markets, power generation, stuff like that. I’m a design engineering intern. Basically, my job is to just assist the design engineering department however they see fit. So I have a supervisor who is the Lead Engineer, he’s the one who I work one on one with, who I report to and who gives me assignments. CEMS: What did you do and was the work manageable? SG: They are really good at spreading out the projects for me so I have actually been able to design a few important pieces of tools for the manufacturing shop. You know tools that they can use to help build these motors and help them make maintenance quicker on things. I’ve also been involved in data spreadsheets, typical intern work, as well as working on some contract work and communications with other companies to order things and get pieces designed. CEMS: How did you get this internship? SG: I wasn’t lucky enough to get an internship as a undergrad but I don’t think I was looking in the right spots. So this was a great opportunity for me. I had been aware of the CEMS Competitive Internship Program before and I’ve used the career services to work on resumes and cover letters so this year I contacted Alicia Ellis. She has been really great about sending out notices to all the engineers about internships. I knew I needed the experience so I contacted Alicia as opposed to trying on my own as I have done in the past. 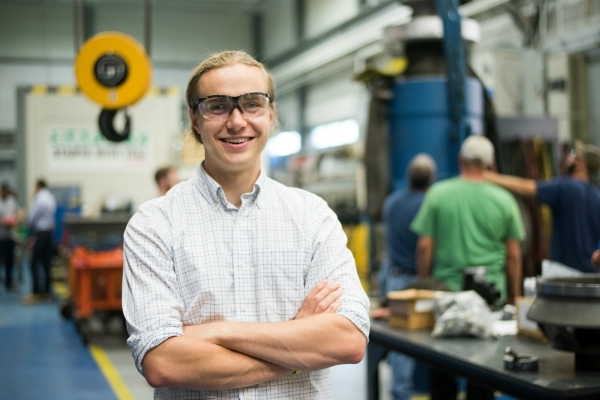 CEMS: How did what you learn in UVM’s engineering program carry over to your internship? SG: To a good extent, I would say the skills I’ve learned carried over. Actually, pretty much everything has applied to what I do now. I’ve learned a lot of problem solving skills in my engineering coursework at UVM that are directly relatable to my current job but I also took a bunch of classes that aren’t relatable as well. I’m in kind of a specialty market so I can’t really use all of the knowledge I’ve learned as a student so far but I do use a good amount. I would say the biggest things though is problem solving, presenting myself and making sure I’m coherent in writing my reports and documenting everything. CEMS: How did you like your internship? SG: I really do love it, it's a good job and they treat me very well there. It’s more than I expected to be getting out of the internship is basically how I would describe it. I’m getting more than I would have ever hoped of which is great. But, yes I’m enjoying it a lot and I think the CEMS Competitive Internship Program and Alicia Ellis did a really great job of setting up the internship placement. Update: Hayward Tyler offered Stephen a full-time position after his summer internship.